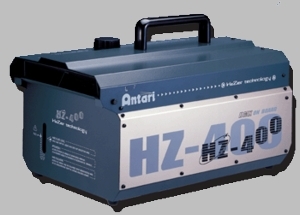 A Professional haze machine that enhances any lighting show, the HZ-400 is equipped with two haze nozzles capable of producing large volume of haze output required by bigger venues. Its internal compressor is extremely powerful, quiet and very efficient. With an added on-board DMX provide users to control the unit remotely either via timer or wireless.